Earlier today, some Project Fi users began to see alerts that they were being throttled, such as in the tweets below. Naturally, most were confused, considering Fi doesn't throttle users at all. Others had it even worse, with some customers reporting that their SIM cards were being deactivated, as seen below. The deactivation seemed to only affect T-Mobile connections (Fi uses T-Mobile, Sprint, and US Cellular), but it's still a major problem. Not only do Fi SIM cards use T-Mobile by default, the data SIMs can only connect to T-Mobile. Comment from discussion Tea_EarlGreyHot's comment from discussion "Incorrect notification on data management". Comment from discussion sarkomoth's comment from discussion "Incorrect notification on data management". Some of you may have received a notification earlier this afternoon regarding data management. Rest assured that this was a mistake, and your service will return to normal shortly. We’re experimenting with options for users to opt in to throttle their data in certain situations. We’ve heard from many of you that it would be helpful to have greater control over data costs, so we’re looking into adding more options to do this. You can continue to use your data as planned, and as always we’ll give you choice and transparency in your plan. In the meantime, Fi support is asking affected users to force their phones to use Sprint's network by using a custom dialer code (* # * # 34777 # * # *). You can also install Signal Spy, which makes switching between networks on Fi easier. 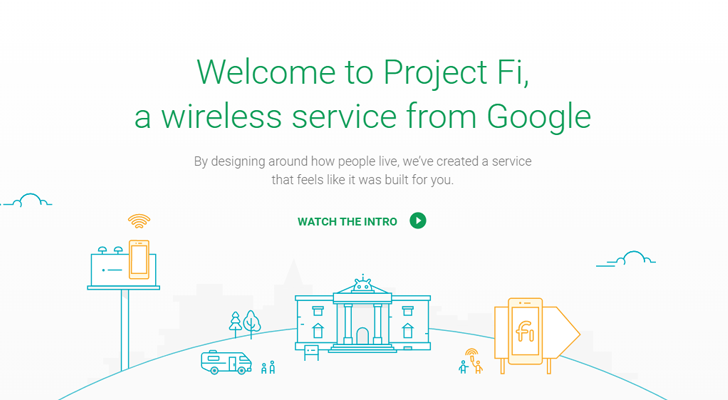 Hopefully Project Fi will offer service credits for customers experiencing this problem, because it leaves many without a reliable connection. Let us know in the comments if you're on Fi and having problems - my Fi Pixel seems to be working for the moment.